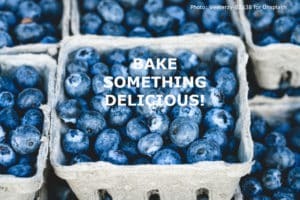 We can’t pass up fresh blueberries when they’re in the store—and especially when we see them at farmers markets. This recipe is one of our favorite ways to use the tasty berries. A nutty streusel on top makes them extra delicious. In a medium bowl, combine the brown sugar, pecans, flour and butter. With hands or pastry blender, work butter into the mixture to form coarse crumbs. Place in freezer while making batter. Preheat oven to 375°. Line two 12-cup muffin pans with 16 liners. 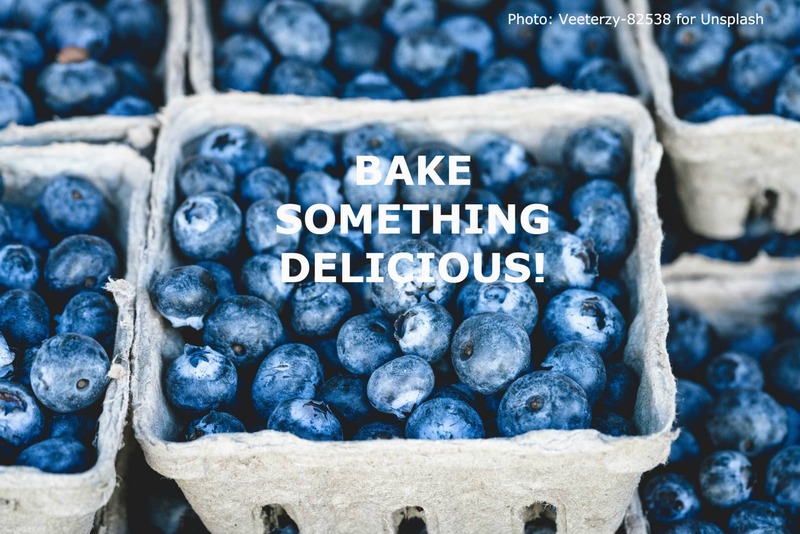 In a medium bowl, gently toss the blueberries with 1 Tbsp. flour. In large bowl, whisk the 2 ½ cups of flour with baking powder, cinnamon and salt. In another large bowl with mixer, beat the softened butter and sugar until smooth. Add eggs, one at a time, beating after each. Then beat in vanilla extract until well-blended. With mixer on low, add in flour mixture and sour cream, alternating between, until just combined. Using a spatula, gently fold in the blueberries. Divide batter among cupcake liners, filling to just under top of liner. Spoon streusel evenly over each muffin. Bake muffins 22-25 minutes, until toothpick inserted into the center of the muffin comes out clean. Cool on rack. Gluten-free muffins: Substitute regular flour in streusel and muffins cup-for-cup with gluten flour. This entry was posted in Bed & Breakfast, Dining, Eastham, Recipes and tagged B&B recipe, Cape Cod lodging, food and wine, things to do by admin. Bookmark the permalink.